Creeksea Place House and Gardens01621 784535work Historic HouseCreeksea Place is a 16th century fairytale Tudor Mansion set in beautiful gardens. The strikingly impressive Grade II* Tudor red-brick manor is surrounded by a walled garden, orchard, lawns and lakes, and is in walking distance of the River Crouch. It makes an ideal wedding venue with marquees set up in the gardens and has been a favourite location for film and television crews due to its unspoilt original features such as the Regency and Panelled Rooms. After sunset, the glorious buildings and grounds are illuminated with spotlights, candles and burning torches. 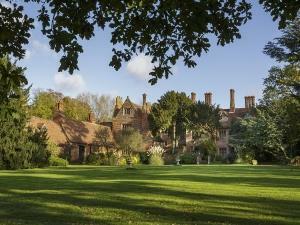 Creeksea Place is a 16th century fairytale Tudor Mansion set in beautiful gardens. The strikingly impressive Grade II* Tudor red-brick manor is surrounded by a walled garden, orchard, lawns and lakes, and is in walking distance of the River Crouch.